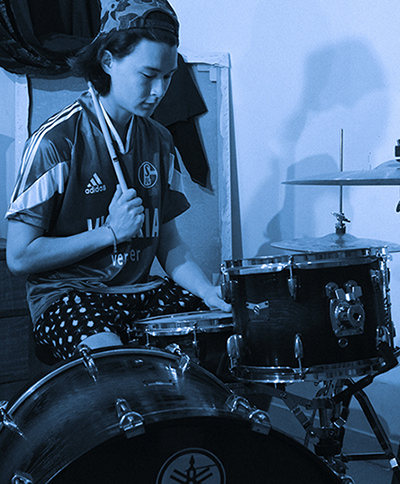 Dan Koyama is the drummer of Brisbane-based indie/rock band Last Dinosaurs. After building a strong fan base in Australia on the back of support from Triple J, the band has recently unleashed their sounds in the UK and garnered the attention of global Tastemakers including NME, Zane Lowe of BBC's Radio1 and The Guardian. Dan began playing drums from a young age and played in various jazz and rock bands throughout high-school. He cites Jack Bevan of UK band Foals, Questlove, and Aaron Spears as three of his favourite drummers.